Unlike the traditional computer mouse, a gaming mouse would have high-performing features and specifications. This device should have additional features to accommodate the avid gamer. 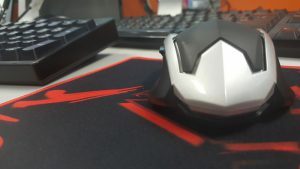 Button customizations, macro settings, and high reaction speeds are some of the factors that make a gaming mouse one of the best on the market. Gamers are always on the lookout for the best gaming mouse they in the market. Some of the factors they look for include the brand, type, weight, price, and its purpose. Read on to find out which gaming mouse matches your gaming style to ensure optimum performance. 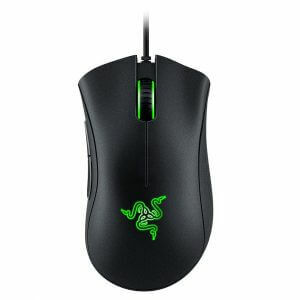 Buying a gaming mouse from an online retailer can become a challenging task, since there’s no shop clerk to assist you. Hence, you need to compare the performance of the device through diligent research. To achieve this, it’s important to know the terms that will help you separate the bad from the good. Let’s understand and evaluate the performance of gaming mice properly by reviewing some important terms. Look at the back of your mouse, and you’ll see light coming from underneath the device. This is the sensor, which optical mice use to read movement and convey them to your computer through a light or laser. The lift-off distance is the distance that makes the mouse react to the surface. The shorter the distance, the better. 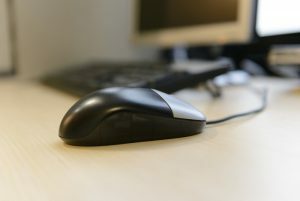 Many computer mice will start to move when it “floats,” or when they’re lifted from your mouse pad or any flat surface. The action can ultimately lead to errors, and it can even result in a major loss in your games. 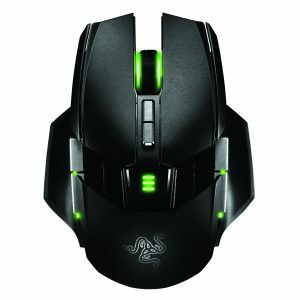 Optical mice are now the go-to computer peripherals for gaming. Some models will even allow you to adjust the lift-off distance by taping the sensor area. 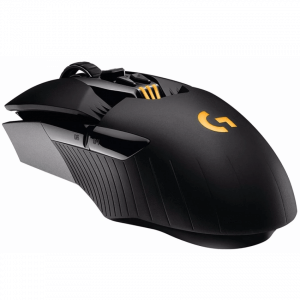 The tracking speed (IPS) is a number that states how fast the gaming mouse can perceive movement. 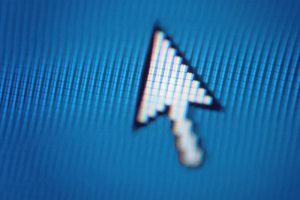 Computer mice with low IPS don’t respond to movement quick enough; on the other hand, mice with high IPS allow the cursor to move smoothly and freely even if you’re randomly moving the device around. 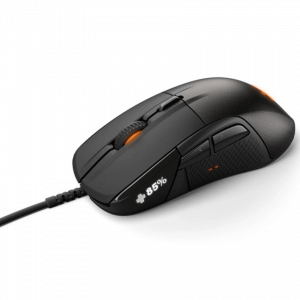 High IPS gaming mice are a necessity for gaming, especially for first-person shooter games (FPS) as fast reflexes are necessary. Bear in mind that there is a limit to the tracking speed of a mouse, so trying to move the mouse beyond that limit will not improve its performance. The tracking resolution (DPI) is a term that might be a bit difficult to understand. It refers to the movement speed of the mouse. However, the movement heavily relies on a computer’s resolution. Users can adjust the DPI of their computer mouse on their computers. Consequently, some manufacturers put dedicated buttons or switches on their peripherals for gamers to easily change the DPI. Choosing the suitable DPI is important for different types of games. Changing the numerical value of the peripheral’s DPI can spell either defeat or victory in video games. The report rate is the number of times information is sent to your computer per second. The higher the figure found in the report rate, the faster the operation. Computer gaming mice with a low report rate have low input lag. In other words, if you click on the mouse button to shoot, there’s no visible lag from the click to when your character starts shooting. 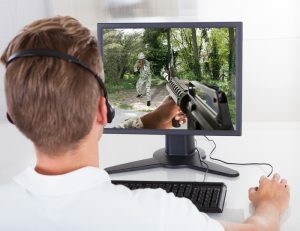 FPS games require a computer mouse with high report rates and low input lags. It’s because opponents are constantly moving around. Hence, timing is everything; miss one millisecond and you could lose the game. Using a gaming mouse that matches your gaming style is necessary for a great in-game performance. We’re going to explain some points of choosing the right gaming mouse below. It’s important to choose a gaming mouse that has the right shape and size to suit your way of holding the device. Start by using a technique called “cover holding.” It’s when you hold the mouse with your entire hand and try to move the device with your wrist or arm. 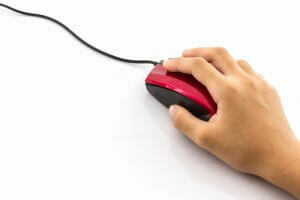 Check if the size of the mouse comfortably fits in your entire hand with this method. You can also use another method known as “knob holding.” To do it, don’t grasp the mouse using your entire hand. Instead, try to move the computer peripheral with your index and middle fingers. If it’s too big or too heavy to use while you’re trying out the knob holding method, then chances are your hands will easily get tired. Lastly, you can also choose to use another holding method called “grasp (grip) hold.” Make use of grip holding by grabbing the left and right sides of the gaming mouse. Rest your thumb and pinky finger while trying to operate the left and right mouse buttons with your three remaining fingers. If you can use the device with no problem, then you may have already found your device. There are many things to do in a game, and the number of side buttons becomes an important aspect of some. Massive multiplayer online (MMO) games require different button inputs, so having just two will not be enough. When you’re choosing a gaming mouse for MMOs, then choosing a peripheral with the right number of buttons at the right position are a necessity. At the end of the day, your choice heavily depends on the game. If there are many command inputs you want to register, then you ought to consider getting a gaming mouse with 12 additional buttons found on its sides. However, many manufacturers position the extra buttons on the left side of the mouse. In other words, these devices are ideal for right-handed people. There are also some gaming mice that have additional buttons at weird and hard-to-reach places. Hence, choose a device that allows you to easily navigate through these buttons. You can’t disregard that weight is also an important factor, especially for online games. Chances are you’re going to play for extended periods of time without taking a break; and over time, the mouse might become heavy. Hence, you’ll find yourself missing shots, jumps, and quick time events (QTE) more frequently than when you first started playing. In this regard, the lighter the mouse, the easier you can operate the peripheral. Once again, it does depend on the game as there are some titles and video game genres that don’t require constant mouse movement. We’re going to introduce our top recommended gaming mice at this point. We’ve already taken a look at the various characteristics, features, and specifications of each mouse as we separate the best from the rest. 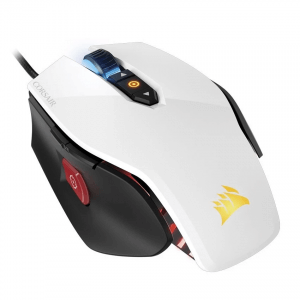 The Sabre RGB from Corsair is considered to be a younger sibling (in more ways than one) of the M65 Pro RGB from the same brand. It’s not the best-looking gaming mice on the planet, but its simplicity can win awards. Users can place the Sabre RGB on their desk without being bothered by the device. Its excellent sensor is a must-have for FPS players on a budget. This computer mouse even has RGB lighting for additional design flair. Despite the lack of additional features from its predecessor, you still get a DPI that can go as high 12,000. Furthermore, you can get the Proteus Spectrum at a modest price. The Naga Hex V2 by Razer is one of the most revered gaming mice on the market, because of the number of perfectly-placed buttons on its side. Hence, it’s an ideal choice for MOBA players. Users playing MMOs with multiple button commands can also take advantage of this device. As for its design, some folks might not fancy its looks and architecture. Furthermore, it doesn’t come with an ambidextrous design. Left-handed MOBA or MMO players might want to look somewhere else. 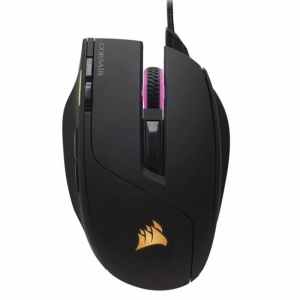 The M65 Pro RGB from Corsair has a lot to offer for its budget-friendly price tag. It comes with RGB lighting (as the name suggests). 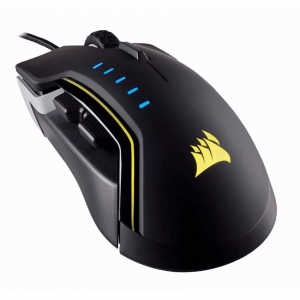 Users can also customize the lighting through Corsair’s customization software. Aside from its obvious design flair, it also comes with 12,000 DPI. Hence, it’s great for FPS gamers. Its design, on the other hand, may not please everyone. There are weird angles and oddly-placed curves in some areas. Hence, it might not become the most comfortable mouse on the market. Try to get a good feel of the Glaive RGB gaming mouse by Corsair and you might even declare that it’s going to be “the one.” It’s comfortable to the hand, and it moves like a hot knife through butter. This computer-gaming peripheral even comes with a high-DPI Pixart sensor. As a result, FPS gamers will definitely get a kick out of using this mouse. Even though this gaming mouse has a reasonably decent price tag, it does come with an almost all-plastic construction. For its price, it should be more durable than what it can currently offer. Most gamers would prefer wired mice over wireless models. It’s because wireless mice tend to offer a longer input delay than their wired counterparts. However, that’s not the case when you’re using the Logitech G900. The Chaos Spectrum comes with a variable DPI. Users can change the native DPI from 200 all the way up to 12,000. Furthermore, you can do this on the fly with a dedicated button. Aside from using this gaming mouse wirelessly, you can also use a wired connection to your PC. The DeathAdder Chroma has now become a gaming industry standard because of its price tag. It’s a great choice for anyone with a very tight budget. Upgrade to this device from your traditional computer mouse to get an extra advantage for several gaming titles. The package even includes the brand’s Synapse 2.0. This software is one of the best customization applications you can find for altering the different features of the mouse to fit your needs. Most people might be taken aback by the huge heft found in the price tag of the Ouroboros gaming mouse by Razer. Give this high-end computer gaming peripheral a chance and you might not look at any other similar devices the same way ever again. The Ouroboros brings an ambidextrous design to the market. Hence, right-handed and left-handed individuals can take advantage of this beast. Furthermore, just about every button on the mouse is customizable. It also comes with dual sensors to provide supreme accuracy for your games. 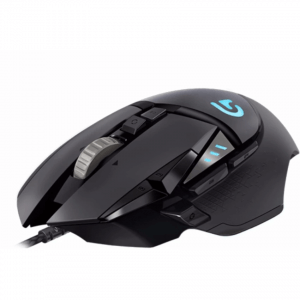 Another ambidextrous gaming mouse to hit our list is the Sensei 310 by SteelSeries. 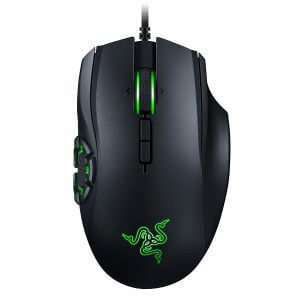 However, unlike the Razer Ouroboros, the Sensei 310 comes with a more reasonable price tag. Users can take advantage of its amazing TrueMove 3 optical sensor for amazingly accurate movements. This gaming mouse presents an unmatched real-world sensitivity. Whether you’re playing Role-Playing Games (RPGs), FPS, MMOs, or MOBAs, you’ll definitely find using this mouse to be a dream. 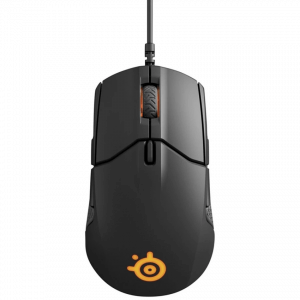 The last gaming mouse to grace our list and also our top recommended item is the Rival 700 from SteelSeries. There are plenty of unique features that come with this gaming peripheral. First, it comes with an OLED display. Using the built-in screen allows users to change a broad range of settings. 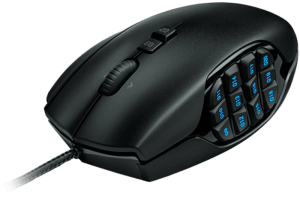 This mouse also comes with a modular design, an adjustable DPI (up to 16,000), and RGB lighting. It even comes with a vibration function so you’ll feel every hit you take in your games. Now that you’ve reached the end of our post, we hope you’ve decided on a gaming mouse to purchase? Even though some gaming mice are found in the high-end of the market, they still excel in more ways than one. At the end of the day, it all depends on personal preferences. Make sure to take note of the size and shape of the mouse to ensure the fit will match your hands.